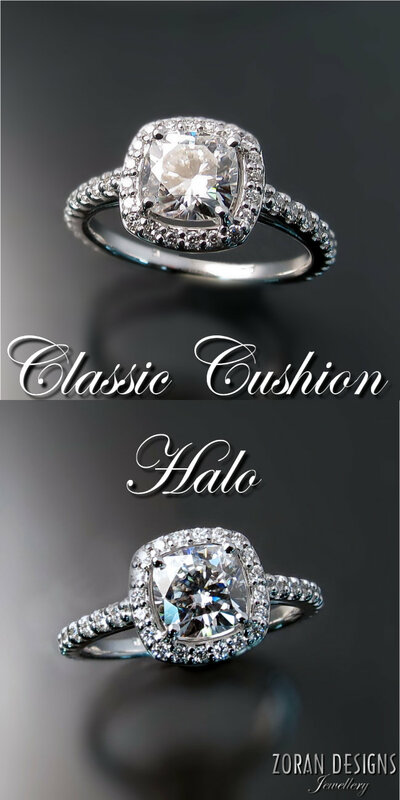 A cushion halo engagement ring is a timeless, classic design that will never go out of style. This one was done in white gold and features a cushion cut Moissanite centre surrounded by sparkling diamonds. Best wishes go out to another Hamilton, ON couple.